Vancouver, BC, March 8th, 2013—Hollyburn Properties, Ltd has launched a fully integrated mobile site with a streamlined, cloud-based interface designed with ease-of-use as its first priority. Hollyburn’s mobile property rental site is loaded with all of the features, social networking and sharing capabilities, advancements in mobile technology and Web 2.0 fundamentals that today’s savvy consumer requires. Formatted for iPhone, Android, Blackberry and all other mobile devices, Hollyburn’s mobile site is a modern, clean and consistent simplification of the current website. 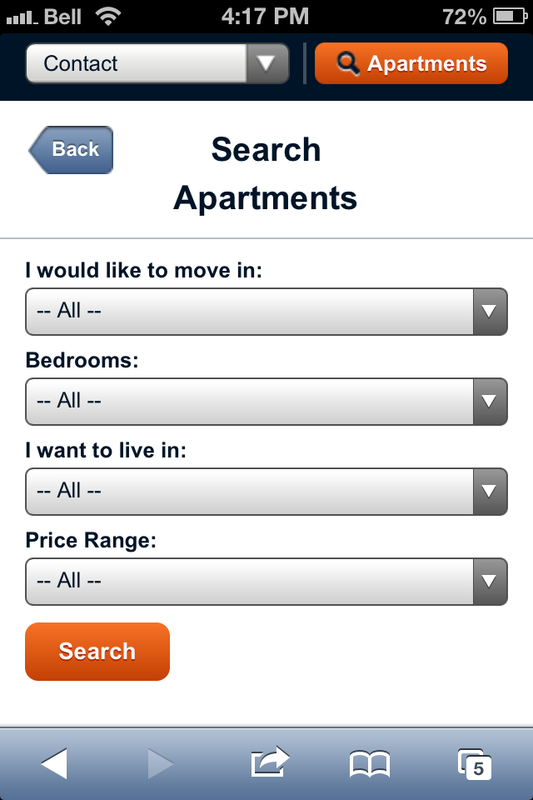 The homepage has clickable visual icons that lead directly to Google Maps which display available properties on a single, easy to read interactive map in real time. Users hover over a nearby property for a debrief on current availabilities and can click through for all of the details and suite features available. In the works for Hollyburn is new location-aware search technology that recognizes the users GPS location and automatically presents them with a list of nearby available apartments. Mobile websites have become increasingly important tools in internet marketing strategies as upwards of 50% of cell phone users have a Smartphone. * Moreover, by the end of 2013 more people will use mobile phones than PC’s to get online. ** Smartphones combine fast internet access and rich web browsing with touch gestures, motion sensors, digital cameras, GPS and other high-tech features that have refined the way we can work remotely. 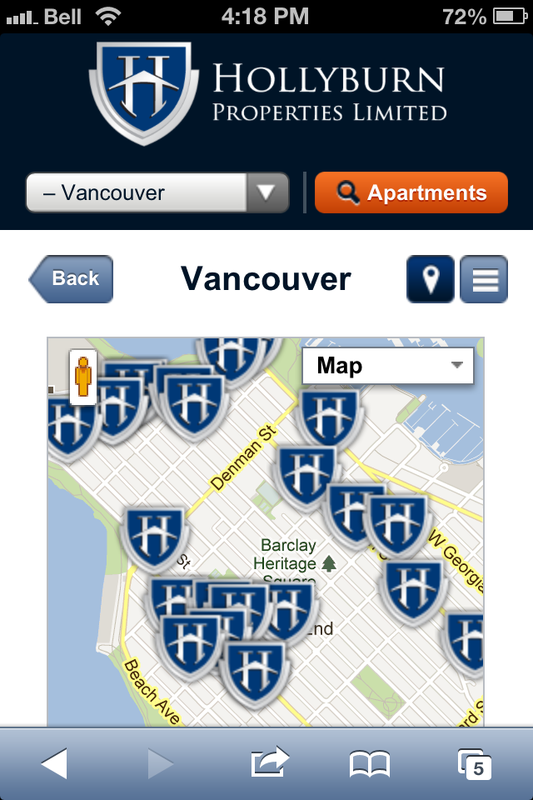 Hollyburn’s mobile strategy includes providing free wifi zones in all common building areas. 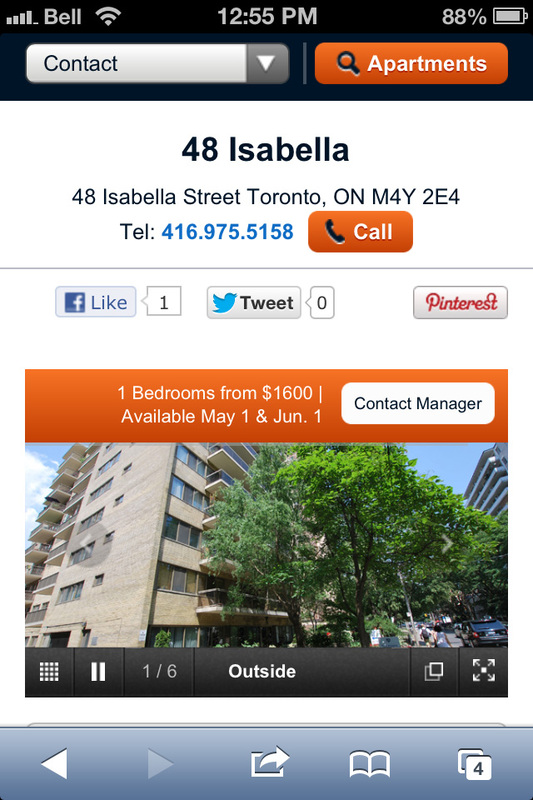 The new mobile site integrates the possibilities of this technology and as a result, tenants and prospects have access to the most engaging mobile experience on the market today. Hollyburn Properties is a Canadian-owned and operated property management and investment company founded in 1972 at the foot of Hollyburn Mountain in West Vancouver. With our head office in downtown Vancouver and premier rental apartments in Vancouver, Calgary, Toronto and Ottawa, our properties are located in the most popular, upscale and sought-after neighborhoods in the country. Through environmental stewardship, employee training and support and community partnerships, it is our mission to raise the standard of our property management practices to the benefit of our residents, our employees and the property management industry in Canada. *Outlay Source: Nielsen 2012, statistics are for US consumers.